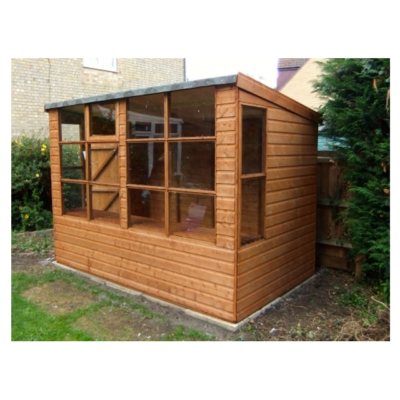 Constructed from A grade Scandinavian redwood our Loglap range of sheds are the perfect choice for workshops, garden offices and general storage alike. 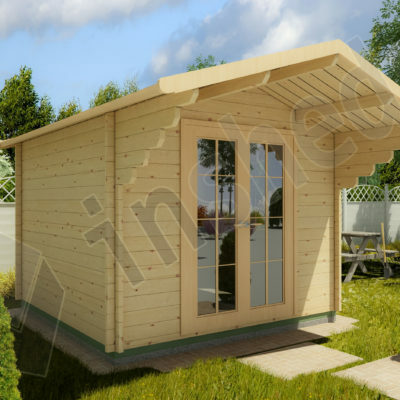 A Stunning solidly made loglap shed will add a luxurious ‘ Log Cabin’ feel to any garden. The rigid nature of the cladding and the way it slots together with a timber floor and roof will ensure that you will benefit from a robust quality shed for many years to come. 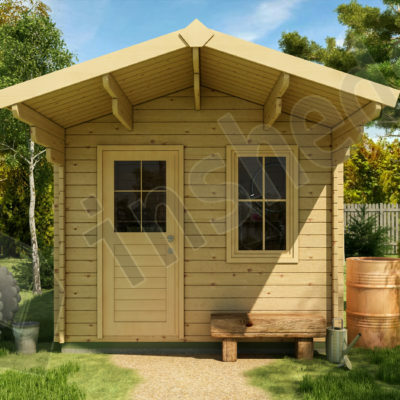 You can design your own shed, we are able to make a taller one, re-position the door or extend the roof just give us a call for a quotation. The door is hinged on the right as standard. 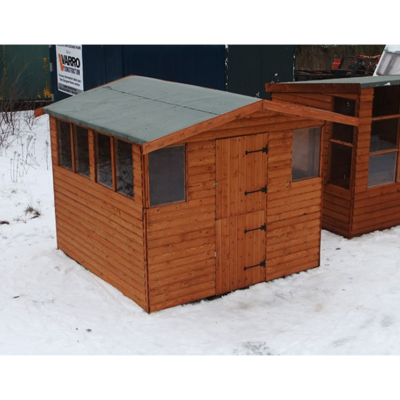 All sheds are guaranteed against defects for 12 months, we also offer an excellent after sales service. Illustrated is an 8 x 6 in Loglap with an apex roof. Framing: 38mm x 38mm planed all round uprights. 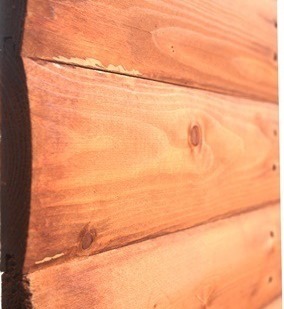 Cladding: 15mm planed all round tongue and grooved Loglap. Roof: 12mm tongue and grooved match boarding with 38mm x 38mm planed all round bearers. Floor: 12mm tongue and grooved match boarding with 38mm x 38mm planed all round bearers spaced at 305mm intervals (approx).